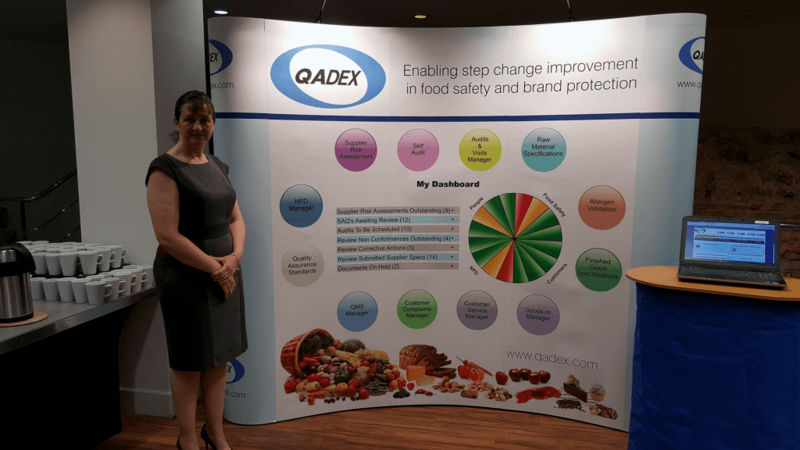 After a great day at the Food Safety Trends Conference on the 20th September 2017 we thought we would have a look back on what was covered during the day and how the QADEX system can help with these points as we aim to bring together every aspect of: Food Safety, Quality Management, Compliance, Supplier Approval, Specifications, Complaints and Product Development in one easy to use system. Following scandals such as the Horsemeat Scandal and the Brazil Meat Scandal, food fraud is something that sadly overshadows the food industry with consumers losing faith in the products they are purchasing and food businesses constantly trying to manage and monitor their suppliers to ensure that the products they are producing are exactly what they say they are. I am sure we are all aware how important risk assessments of suppliers are, but I am sure we also know how complex and time-consuming these can become as well with the overall risk being identified not always clear. For example, if you have 5 people risk assess a single supplier, chances are that each person will come up with a slightly different assessment. This can leave you unsure of which suppliers are actually high risk and which aren’t, often leaving you on the fence which increases your chances of falling fowl to an illegitimate supplier. That is why QADEX have developed an advanced Risk Assessment Module, the most advanced available in the industry, as it allows you to automatically perform risk assessments based on data provided by your suppliers through Self Audit Questionnaires and product specifications. This greatly removes the subjectivity of risk assessments that are performed manually by different people. And with more exciting and cutting-edge features planned for this module, we feel that it is at the forefront of providing Food Safety and Brand Protection while providing cost savings. If you would like to learn more about how this module can benefit your business, please click here to get in touch and we will get back to you shortly. Did you know, that despite the fact that they are largely preventable, allergy issues represent a huge portion of product recalls across the food industry. This can mean a vast amount of wasted time and financial resources for any company, manufacturer or supplier associated with products that are recalled for allergy reasons, plus the damaged brand reputation from the PR associated with a recall. QADEX have a leading allergen management module which allows you to easily manage and label allergens within your products. Reducing the hassle and the risks associated with usually outdated and complex paper systems which could be putting you at risk. Incorporating effective allergen management policies through our system not only ensures customer safety but also acts to protect company reputation, save time, reduce expenses and increase profitability. The QADEX system also allows you to specify limits of certain bacteria or ingredients and flag up when any suppliers products exceed this, allowing you to identify potential outbreaks or contaminants before it is too late. It’s better to be proactive than reactive to threats and issues within the food and drinks industry. And some of the ways this can be done is through Horizon Scanning and Vulnerability Assessments, which allow you to detect emerging trends/threats and put measures in place. But again, these can be time-consuming and are often done inefficiently and ineffectively with complex, outdated systems which are often paper or spreadsheet-based. Which is why the QADEX system allows you to easily perform Horizon Scanning and Vulnerability Assessments for your business, with the ability to set up and receive alerts relating to products or ingredients you use so you are always up to date with whats going on around the world and how it could potentially put your business at risk. We would like to thank the Food Safety Trends Conference for the great event and thank you to all of the people that came to talk to us on the day, and we look forward to attending any future events they hold. The cost of moving the goalposts ……..